Monarch Dental joins Community Partners of Dallas to provide needed school supplies to area children. The Monarch Dental team ready to help the Dallas Community. 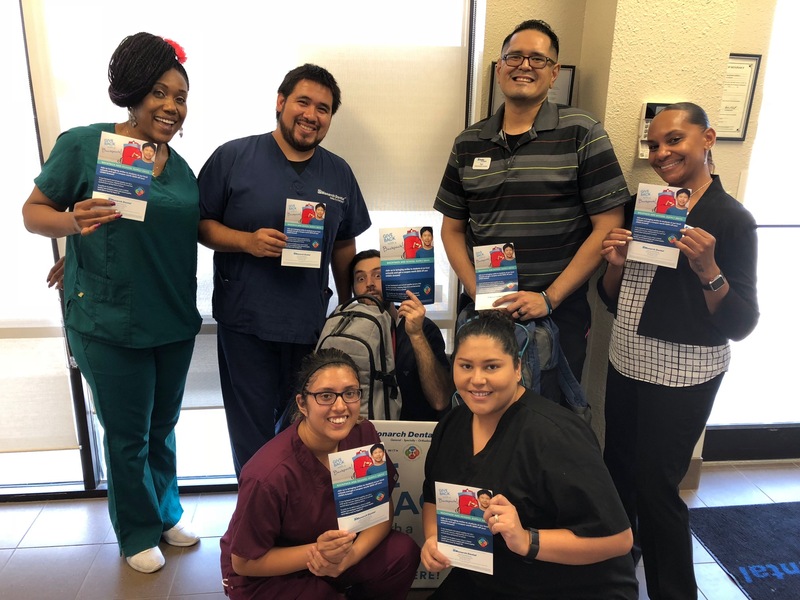 The affiliated offices of Monarch Dental are again joining forces with Community Partners of Dallas to collect backpacks filled with school supplies for needy children across the Dallas/Fort Worth area from now through August 18th. Nearly 170,000 children across Dallas and Fort Worth currently live at or below the poverty line. Monarch Dental aims to make it easier for these kids to get the support they need to succeed in school and in life, whether that means affordable dental and orthodontic care or their basic school supplies. 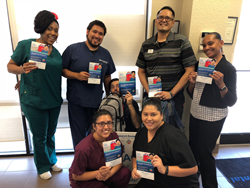 By turning all 51 Monarch Dental Dallas/Fort Worth locations into drop-off points, the company is making it easier than ever for area residents to make a difference. In an effort to encourage even more families to participate this year – Monarch Dental will be providing a $200 discount off braces for anyone who donates a new backpack and school supplies through August 18th. This effort is part of Community Partners of Dallas’ annual Back-to-School Drive which aims to collect more than 3,500 backpacks filled with supplies for school-aged children throughout the Dallas/Fort Worth area. To make a student smile this Back-to-School season and earn $200 off orthodontic treatment, bring a new backpack with supplies totaling $50* in value to any Monarch Dental location. For more information and a list of the most needed supplies, visit Monarch Dental’s blog page. *To receive $200 coupon off braces please present receipt totaling $50 for backpack/school supplies at any of the 51 affiliated Monarch Dental locations. Offer available for patients not using insurance. Monarch Dental provides general dentistry, children’s dentistry and specialty care services such as orthodontics, oral surgery, periodontics and endodontics at 89 locations throughout Texas, Arkansas and Utah. Monarch Dental affiliated practices makes it easy and affordable for individuals and families to get the dental care they need with convenient locations, extended hours and same-day appointments. The Monarch Dental mission is to create healthier smiles by making dental visits easy and enjoyable. Learn more at http://www.monarchdental.com. Since 1989, Community Partners of Dallas has ensured safety and restored dignity and hope to abused and neglected children by providing crucial resources and support to the caseworkers of Dallas County Child Protective Services. Community Partners of Dallas provides items such as winter coats, diapers and formula, holiday gifts, school uniforms, personal hygiene products, food and more, to send the abused children in our community the message that someone does care. Please visit http://www.communitypartnersdallas.org for more information.